Ronnie Lee, from the introduction. 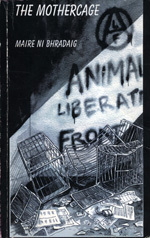 Maire ni Bhradaig’s The Mothercage is a fictional portrayal of an Animal Liberation Front raid. Originally published in England, it was never widely available outside of Europe. Although it is written for young adults, the characters are complex enough to hold the interest of older readers. The author’s knowledge of militant AR culture makes the story a realistic representation of how activists might interact, and unlike Rage and Reason and Animal Rites, there are no former green berets running around with machine guns. The strength of this book is Bhradaig’s willingness to present the people behind the mask as plainly, painfully human. Outside of Paul Chadwick’s Concrete: Think Like A Mountain you will not find a more accurate portrayal of a group of radicals. While some of the book’s cast are wonderful people, others are bigots, adventurists, or cowards hiding their flaws behind a balaclava. 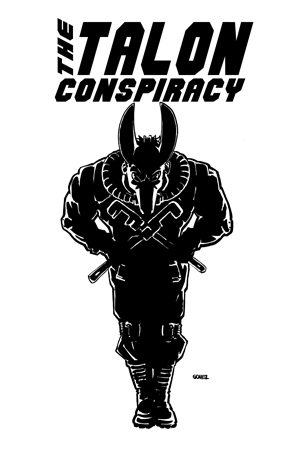 The grassroots animal and wilderness liberation movements indulge in far too much hero worship, a tendency that has led us to embrace some very shady characters over the years- characters who often harm our credibility in the long term. The Mothercage serves as a reminder that the masked figures we so admire are not always so admirable, and more importantly, that improving ourselves increases our effectiveness as activists.